Real Madrid new stadium Santiago Bernabeu will have a retractable roof, though there will be no increase to its current 81,044 capacity. Speaking to media, Real’s president said it is great opportunity to turn their stadium into a great technological platform that serves relate to their fans. “Our future naturally involves a new Santiago Bernabeu stadium, a reference of the 21st century. A modern, avant-garde stadium, with maximum comfort and safety, with state-of-the-art technology, where fans can experience unique sensations and also be a new and important source of income for the club.” Perez said. “This great project will become a key piece for the Real Madrid of the future, but also for the city of Madrid. And it will be because the new Santiago Bernabeu stadium, located in the heart of Madrid, will be the best stadium in the world. “More modern, more comfortable, safer and designed for entertainment, with new areas of leisure and catering and where the most advanced technology will be key for fans to live new experiences.” Perez added. Opened in 1947, it was renamed in 1955 from the Chamartín Stadium to the Santiago Bernabeu Stadium in honour of the club’s former president. 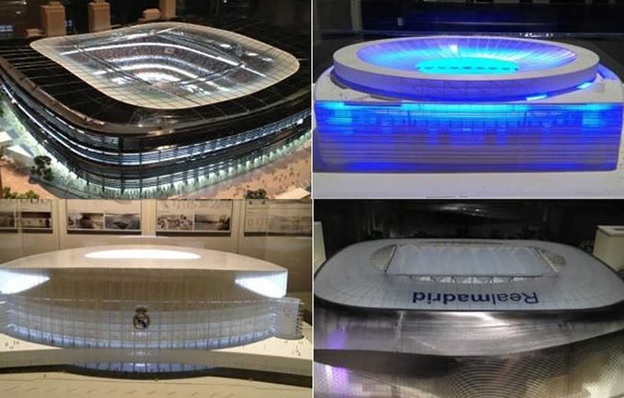 And Perez believes the stadium will be the pride of Madrid city in the future. “This stadium will be 72 years old in December. It was Santiago Bernabeu who transformed the history of this club with an innovative vision of the future capable of turning Real Madrid into the greatest legend of football. He led the way with a model that led us to build this myth that is Real Madrid with our values, with unique players and with the best facilities.” Perez said. “Here in this stadium are the 23 European Cups, 13 for football and 10 for basketball. A unique track record in world sport, but above all, here are the experiences, the dreams, the hopes, the memories, the passion and the emotions that have been transmitted from generation to generation. 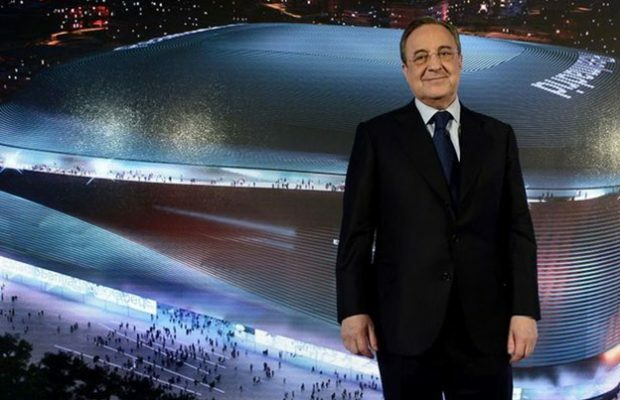 “And all these feelings are the pillars of this new Santiago Bernabeu stadium, the great stadium of the 21st century, which will mark our destiny and which will always be the pride of Madrid and of all madridistas.” he added.